Club reporter backs NUFC to sign PL midfielder this summer – Confirms Rafa’s interest – NUFC blog – Newcastle United blog – NUFC Fixtures, News and Forum. 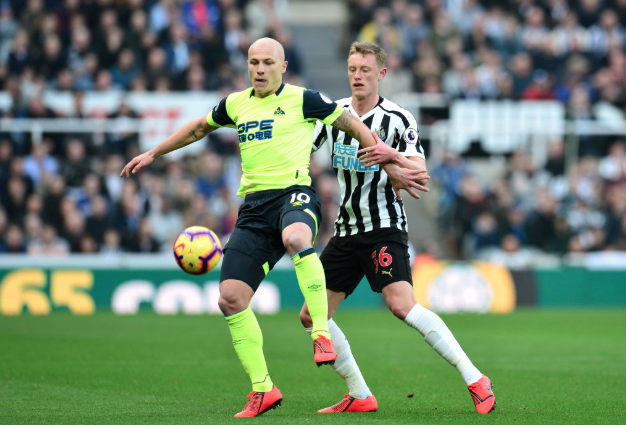 The Chronicle’s Mark Douglas has backed Newcastle to sign Huddersfield midfielder Aaron Mooy this summer – confirming that he’s a player Rafa has been ‘keen’ to sign in the past. The 28-year-old midfielder has been the Terriers stand out players over the past three seasons and, as Mark says, looks certain to leave the club if and when they’re relegated back to the second tier this summer. Not only that, the arrival of a midfielder or two could be high on Rafa’s agenda IF the Spaniard signs a new deal, with Isaac Hayden wanting a move down south for personal reasons, Mo Diame at risk of leaving on a free and Jonjo Shelvey tipped to join West Ham. If #nufc lose two of Hayden, Diame or Shelvey this summer I could definitely get on board with Aaron Mooy coming in. Rafa keen in the past; won't stick around at #htafc if they go down. It may be an unpopular opinion, but if Shelvey were to leave for West Ham, I believe Mooy would be a very shrewd replacement. Jonjo at his peak is better than Mooy, but the Australian always strikes me as a consistent player who’s good on the ball – rarely losing it – while also being hard working and disciplined off it; offering traits that are essential in a Benitez team. What do you reckon folks – would you be happy to see Mooy sign if one or two of Shelvey, Hayden or Diame left? This kid has a pretty good all round game. Rafa is looking forward, lets run with him.